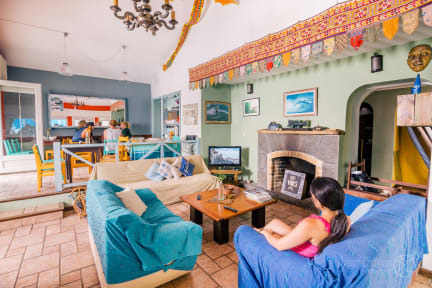 TAS D VIAJE Hostel - Surf Camp - Suites i Punta del Este, Uruguay: Bestill nå! The only hostel that really is located in the heart of Punta del Este! Just 3 blocks walk from the Bus Station and also 1 block walk to the beach and the Main Street. You will have an amazing stay here, in our new, clean, comfortable and spacious rooms with spectacular interior decoration. Now we have five new suites, fully equipped as a hotel! We offer you a choice of privates en suite and dorm rooms. Our dorms with bunk beds and really thick comfortable mattresses are full adult size. Each bed has comfortable duvet and bed linen. All our rooms have air conditioning! 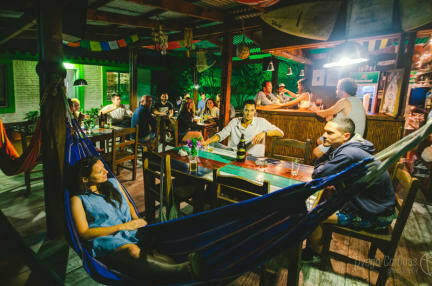 In TAS D VIAJE Hostel - Surf Camp - Suites you will have a friendly and young environment where you will find us the whole day always willing to help you find a place to eat, to go out and enjoy Punta.